Author Interview | conversing with Kate Forsyth, author of “Bitter Greens” a fairy-tale re-telling of Rapunzel, of which I enjoyed immensely! One of the most exciting aspects of being a book blogger is the opportunity I have to interview an author I’ve recently read who wrote such a stirring breadth of narrative prose! Although I entered Bitter Greens without the benefit of knowing anything about the original or variant stories of Rapunzel itself, what drew me into the world Forsyth stitched together for us to find is the sheer volume of historical narrative that emerged and flowed throughout the entire story itself! I held such a close attention to key characters throughout the journey through where this enchanting story-teller was taking us, that I can honestly say that a second reading is necessary in order to fully grasp all the elements that she gave to Bitter Greens! Especially in my case, where a previous novel circumvented the Rapunzel angle of the story for me, and had my heart settling on the secondary thread of the story itself! I, say ‘secondary’ as I believe first and foremost this was a story of who Rapunzel was and who she ultimately became. However, I was hugged closer into the mind of Charlotte-Rose, who simply leapt of the page and demanded my utmost focus of attention! Today I am especially thankful to bring to you a conversation between the writer and myself, hoping that you will appreciate learning a bit more about Ms. Forsyth as much as I did! Enjoy! Be merry! What do you feel is the hardest part about writing convicting historical fiction whose heart of story is rooted in a remembered part of our combined past? Especially whilst tackling a re-known and beloved fairy tale and etching in your own spirit of creativity into the story-line? Forsyth responds: The most challenging part of re-writing a well-known tale is that everyone knows (or thinks they know) the story … and so it is hard to build suspense or to surprise the reader. I think suspense and surprise are the two magical ingredients of any story, the thing that keeps readers turning the pages, and so I had to think of other ways to make the book compelling and surprising. I did this in a number of ways – by drawing on older versions of the tale, by finding new and unexpected explanations for well-known plot motifs or events, and by foregrounding the villain of the tale, the witch who locks away the maiden in the tower. Forsyth responds: I have always loved historical fiction, ever since I was a kid and read Rosemary Sutcliff and Geoffrey Trease. It’s still my favourite genre of fiction and I have always drawn upon history in my novels in one way or another. I positively loved your response to the Question pitched to you on behalf of why fairy tales are still breathing a lifeblood of interest in the literary realms (from the Sunday Life Magazine interview). I have noted that there is an equal attraction to ‘re-tellings’ and what I find most curious is how well knitted the stories are inside them. What do you think will be the capstone of your own works, as you continuously find new threads of narrative to explore in this exciting sub-genre? Forsyth responds: I’m glad that my thoughts on fairy tales touched you! I have always been drawn to fairy tales and fairy tale re-tellings myself, and it was natural to me to want to write my own. Apart from BITTER GREENS – my retelling of Rapunzel interwoven with the true life story of the woman who wrote the tale – I have written THE WILD GIRL, which tells the story of the young woman who told the Grimm Brothers many of their most famous fairy tales, and am now working on a retelling of the Grimm version of Beauty and the Beast, set in Nazi Germany. I hope I will continue to weave together tales of history, mystery, romance and magic for as long as I live! You have a beautiful way of converging philosophical insight with the subtlety of symbolism as you describe where your own heart lies in the craft of story as much as the interconnected weaving of all story-tellers across the ages. Did you have other early influences of fairy tales outside of the Brothers Grimm to chart your course towards infusing inspiration with your stories? Forsyth responds: I was always interested in myth and superstition as well as fairy tales, and I tend to draw upon these in my writing as well as the better known stories. I also love Celtic myth, and have drawn upon Scottish and Welsh fairy tales and folklore a lot as well. I’ve also used Hans Christian Anderson’s The Little Mermaid in one of my novels (DANCING ON KNIVES, which can only be ordered from Australia). Forsyth responds: I’ve always been a voracious reader – I spent my childhood with my nose in a book. Favourite writers include C.S. Lewis, Enid Blyton, Eleanor Farjeon, Nicholas Stuart Grey, Elizabeth Goudge, Susan Cooper, Lloyd Alexander, Joan Aiken, Diana Wynne Jones … as I grew up, I loved the work of Mary Stewart, Mary Webb, Georgette Heyer, Jane Austen and the Brontë sisters. As an adult, my favourite authors include Tracy Chevalier, Joanne Harris, Sarah Dunant, Geraldine Brooks, Kate Morton, C. J. Sansom, Marcus Zusak … oh, far too many to list! The best gift you are giving to your readers is the balance between light and darkness, of which you’ve readily spoken about in other interviews. I always appreciate this focus myself, as I appreciate a character journey through the darkness which leads them back round into the Light. Which contemporary writers do you feel are emerging forward like you are to give the reader a hearty read whilst keeping this traditional arc intact? Forsyth responds: I do think that books which draw upon mythic structures in their books are ones which feel much more perfect and powerful than others. Books by contemporary authors that I think are very beautiful and moving are The Poisonwood Bible by Barbara Kingsolver, The Shadow of the Wind by Carlos Ruiz Zafron, and The Ocean at the end of the Lane by Neil Gaiman. By giving your story a grounding in historical fiction, you were able to breathe more more breadth into the story as it evolved forward – if you were ever to take up the notion to write outside your preferred genre, where do you think your imagination would alight? As you bring Charlotte-Rose into the background of “Bitter Greens” do you feel that having a biographical fiction element not only enhanced the novel, but allowed for there to be a splilt between the fantastical elements and the reality of the time in which it was set, but to provide a prospective of a writer who was crafting stories to both haunt and educate their readers? Why do you think psychological suspense and Gothic Literature has always taken a fireblood of attraction to readers of all ages? Forsyth responds: I chose to entwine my fairy tale retelling with a narrative inspired by the true life story of the woman who first wrote the tale for a number of different reasons. I very much wanted the story to feel real, as if it had really happened, and so I wanted a strong historical setting for the book. I’m also very interested in who tells stories, and why, and this gave me an opportunity to explore that through a story of my own. I was also wanting to do something totally unexpected, that would allow me to surprise the reader and destabilise their expectations. Forsyth responds: I’ve always wanted to to be a writer. My mother says I began writing poems and stories as soon as I could hold a pencil. I wrote my first novel when I was seven, and I’ve never stopped since. I think it was born in me – there was no eureka moment, no flash of realisation. I had my heart set on it right from the very beginning, and I’ve worked all of my life to make it happen. I have an incredibly supportive family – my mother, my sister and brother, my husband, my children. I’m very lucky. Forsyth responds: I buy a notebook for each new book and that gives me a lot of pleasure – I try and choose one carefully. I write all my flashes of inspirations, all my ideas, all my questions down in my notebook, but I compose straight on to the computer. My favourite place to write is my study as it is all set up just the way I like it. It has all my research books to hand, plus I have a gorgeous view out over my garden, across the harbour to the ocean. What is your favourite part of being a wordsmith who spins tales out a palette of words which convey a visceral journey for the readers who find your novels? Forsyth responds: Everything! I love the first flashes of inspiration, I love the daydreaming phase and the research, I love the actual writing and I’m one of those rare writers that loves to edit too. Outside the realm of writing and research, what enriches your spirit the most? Where do you find your serenity? Forsyth responds: In my garden, swimming in the ocean or in our pool under the starlit sky, walking through nature, and cooking something for my family. I love to listen to music too! Acquired Book By: I was selected to be a tour stop on the “Bitter Greens” virtual book tour through Historical Fiction Virtual Book Tours. I received a complimentary copy of the book direct from the publisher St. Martin’s Press, in exchange for an honest review. I did not receive compensation for my opinions or thoughts shared herein. I grew up inside the world of fairy-tales like most young children whose imagination is captured by the fantasy worlds a fairy-tale can generate and explode inside their minds and hearts. I did not always read the direct stories from literature, but opted instead for the motion picture versions and/or re-tellings of the same tale told from a different writer; as part of me always felt that the Brothers Grimm fairy-tales were for someone a bit older than I was at the time I had stumbled across them. I did, of course, read stories like “Little Red Riding Hood” or others that were in collection anthologies for children, but I never truly paid any mind or attention to who was writing them as I liked reading each of the short stories in succession of each other. I do know I appreciated Hans Christian Anderson as a child, but I am not sure which of his were my ultimate favourite either; I will have to re-explore his works at some point down the road. Even if I heard the stories told aloud by family members or watched an adaptation on the screen, the entire world always fit quite happily inside my mind’s eye, as I liked the lessons stitched into the fabric of the stories themselves. I always liked seeing how the characters worked themselves out of situations and found true strength in the midst of difficulty. The fact there were more happy endings than there were unresolved cliffhangers was a big draw as well, as despite the obstacles that arose, it was quite wicked to find they could live peacefully in the end. One of my favourite adaptations is “Ever After” on behalf of “Cinderella”, although there are a few other adaptations I appreciate as well. I am not remembering which versions of Rapunzel I am familiar with but when I first learnt of this novel, I was attracted to the deeply wrought story as an underlay to the main thread of context for the well-known fairy-tale. I do remember I used to tell different variants of the story whilst I was in elementary school, as it was a bit of a game we used to play at lunch. We were either re-inventing different outcomes for Rapunzel or Rumpelstiltskin; when we weren’t fondly trying to trip each other up remembering our US Presidents with their various nicknames to help clue us to which one was which. Elementary school games were filled with fond memories as it was one of the few times my classmates and I truly came together as one for the pure joy of ‘sharing’ and being full of ‘laughter’. I did get a kick out of watching “Tangled” which I realise now was a Rapunzel variant of the story, but then again I grew up on Disney animated films; I tend to keep my eye on the releases that remind me of my childhood. I clearly have stepped outside my own preferences in reading this past year, as previously I would attempt to read an original canon version of a story prior to picking up a re-telling of the same story. I have found that due to different reasons time doesn’t always allow the luxury of going back to the canon, but rather only allows me to read the book at hand. On the other side of the coin, there have been a few times where I felt not reading the original work might befit me moreso than if I had, such as the case with Sense & Sensibility: A Latter-Day Tale and my forthcoming review of The Monogram Murders (Hercules Poirot). As this particular story is a Brothers Grimm, I was more akin to yearning to read a re-telling than perhaps the original, as I always felt the Grimm brothers wrote stories a bit more intense than I might be drawn to read on a regular basis. At the heart of their stories, I was always wholly entranced but to the actually reading of them? I was always a bit on the fence of where I fit with my inclinations. Realising I had known enough about Rapunzel to insert myself into the flow of the novel, is why I settled myself into the pace Forsyth was generating from the opening of the story and onward. I would be curious if other readers make the same choices I do, or if they have a preference for reading canons prior to after canons; it is such a curious situation to have and I find myself yielding a bit when it comes to where my preferences lie on the issue. The Abbey into which Charlotte-Rose de la Force enters has such a strict rule base to follow, that I was curious how she could abide by a quarter of their order’s restrictions when she was entering the convent a free-spirit of the 17th Century. The rules of her day were quite forthright as she was simply another woman cast into an Abbey at the voice of the King, as she was no longer useful nor wanted at Court. The harshness of the sentence was in the fact that most of the women who were forced into this life did not go willingly but rather begrudgingly yet they had little recourse to pursue a different course. In many ways, at the beginning of this novel I started to think back on my reading of Illuminations as the circumstances of being cast into a particular closed off from society insular world was highly familiar. On this level, Bitter Greens is a historical fiction arc of a story set against the back-drop of a biographical fiction narrative, as we are learning about the story of Rapunzel through the writer who gave birth to the idea that has staid with us for generations. The ache of Mademoiselle’s heart clenched into a tight knot as her new cloister environment did not permit her to continue her writings or her stories from being spilt out of her quill. I was tucked up in curiosity at this revelation to sort out how her story of Rapunzel would come to flourish inside such a stark and dank place where the creative arts were discouraged. It was a bit striking to me that they did not want their sisters to take up a hobby or have a personal vice to keep their own sanity amongst the duties they would endure – so many hours would stack against the clock, and to have a bit of a reprieve in my mind would have settled the heart to endurance. One particular part of the story I was rather keen on involves beekeeping and the wisdom of knowledge the apothecarist at the convent shares with Charlotte-Rose during a measure of repentance she owes for stepping out of line. Sister Seraphina keeps not only a full garden for her sisters but an active hive, where she cares for her bees with both love and reverence for their culture. I have always appreciated learning more about bees as their struggle to survive is always so very perilous of a plight. Inserting this thread of Sister Seraphina was most delightful, as it spoke to how some of the sisters carved out a bit of peace for themselves even within the walls of a ruled life of order. This was a turning point for me in the story, as I started to feel attached to both characters as warmly as I have felt towards Hildegard. The origins of Rapunzel are presented as a symphony of a lived life from an era prior to Charlotte-Rose’s own, as told to her by Sister Seraphina whilst they toiled in the garden. What I found so incredible about this bit of traction of where the inspiration for the story of Rapunzel was spun from is how ironic it was for Charlotte-Rose to find herself putting roots into her time at the abbey. She was as indifferent to the life of service as Hildegard (there are a lot of cross-references for me in my mind between both stories! ), irked beyond her ire to make peace with her situation, and yet had a bit of a warming glow towards acknowledging that there could be a way towards happiness despite her emotions as a small flicking candle lighting the flame. Her solace was always hinged to stories and the craft of telling stories in a voice that carried the mirth of joy of having them being told. She wandered off into her mind as soon as a measure of shadow and ill will would work itself into her path or affect those she knew around her. The stories were a freedom from reality to help her mind heal from what it did not want to acknowledge as being real as much as to calm her nerves from feeling overwhelmed by something she witnessed or heard. The infusion of how she worked her words into her own creative voice for stories is an outlet of her truest strength. Seeing how this originated and how it percolated at the abbey was the kind of insight that we do not always perceive on behalf of writers of fairy-tales and mythologies. I am not sure how much was based on actual knowledge and how much was creatively inspired, but the notion of where it all stemmed from was beyond fascinating to read in Bitter Greens! Charlotte-Rose has been given the rarest of gifts: the chance to thread her memories through the spindle of her mind and takeaway insight into how she became the woman she is and how the choices she made affected her future. The tome of wonder you will find within this novel is only one part of the whole of Charlotte-Rose’s life and an expedition of a theory of how she came to fulfill her destiny as a spinning of stories and telling tales full of incredible wisdom. There is a particular surprise for all of us who have travelled down the rabbit hole with Kate Forsyth seeking Rapunzel and finding someone unexpectedly present instead. I felt like smirking when I realised the beauty of Forsyth’s choice and the level of eloquence she stitched into this story overall. I was quite struck by the realisation that from the moment I first opened Bitter Greens to the moment I closed the ARC, I was taken completely unawares and most delighted by the experience! Somehow I had forgotten that the novel The Wild Girl was the first novel I had come across by Kate Forsyth at my local library – a book I had checked out a few times yet had not had the honour of reading in full. Forsyth puts dual empathsis on the story of Charlotte-Rose and of Margherita (the inspiration behind Rapunzel) throughout Bitter Greens; owning to each vein of the narrative when writing from one fusion of the story to the other. I found myself drawn closer into the plight of Charlotte-Rose during this reading as I think for me, I found a connection in her that I had discovered whilst reading Hildegard (from Illuminations), and thereby my mind simply alighted onto her path a bit more than Margherita’s at this time. I will have to see after I have the pleasure of reading the Brothers Grimm tale of Rapunzel if I feel more attachment to the passages involving Margherita. The breadth of her vision for this re-telling is quite impressive, as she didn’t just present a new way of seeing Rupunzel but rather to bridge the gap between the fairy-tale, the reality of two women who truly lived, and the way in which the story has evolved through each generation who fell in sync with it’s telling. She has given us a hearty adaptation whose layers curate in your mind and encourage the reader to take a second reading to fully absolve through the multi-dimensional story in full earnest. I know I will be seeing how my impression of the duality shifts and evolves, but for a first reading I was properly enchanted and spellbound. This is a gutting story-line of perseverance and fortitude whilst dealing with tribulations that no one would soon want to find themselves in the midst of personally. I do highly recommend that readers might consider reading Illuminations before they read Bitter Greens, as there are instances of overlap between situations found within both stories; for me personally, some of those instances were better understood because I had read Illuminations last year. Inspired to Share: The placards and music presented in this impressive book trailer elude to the passages that will be found within the pages of “Bitter Greens”; as this is not your ordinary fairy-tale nor is it a re-telling that you’re expecting to find; the layers of story and of time itself through different eras and recollective memories is what helps enchant you as you read; but it is the sheer vision of Forsyth to spin the tale as only she could give it life that stays with you. Consider this trailer a bit of a ‘teaser’ of what the novel will yield! I will be hosting an Author Interview with Kate Foryth on this blog tour as well. A society that I hope to one day join myself as I love their content & focus on Historical Fiction. 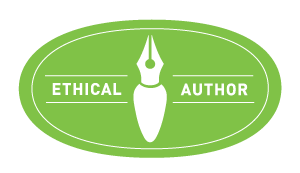 I appreciate being able to use their badge in my blog’s sidebar to promote awareness of their efforts to spotlight emerging talent inside the genre & for providing amazing ways to become integrated into the mission of supporting today’s historical authors who write such convicting narratives and stories. For the moment I support from afar but I always love alighting on their site and seeing what is new & forthcoming. They even host live events & get togethers! 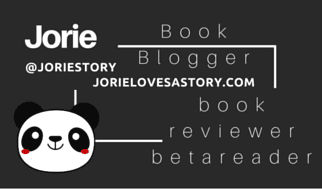 #amreading & #amblogging my #review for #BitterGreens on the #BitterGreensBlogTour! :) A #Rapunzel historical fiction adaptation by Forsyth! @JLovesAStory @KateForsyth This was one of my fav reads of the year! FAB! I can’t wait to read her other books!